Choosing a wheelchair is an important decision. Use this guide to help make sure you get the right wheelchair for you, and to check if you may be entitled to a fully funded wheelchair from the Ministry of Health. Deciding to use a wheelchair can be an emotional decision, and many people are reluctant to even think about it. However, if a lack of mobility is preventing you doing the things you enjoy, then you should definitely consider using a wheelchair. Having a wheelchair does not mean you have to use it every day. Many people continue to walk when they are comfortable to do so and keep their wheelchair as a back up or for longer outings. Do I need to buy my own? Think carefully about how often, and where, you think you will need a wheelchair. The Ministry of Health funds wheelchairs for certain people in certain situations. This is administered through Enable and you can check with Enable to see if you are eligible. If you are eligible you will need to be assessed by an accredited assessor (a physiotherapist or occupational therapist). Your GP can refer you for this. 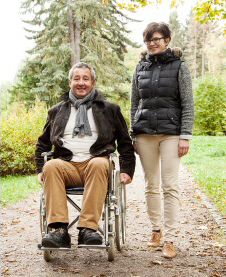 In general, you are eligible if you need a wheelchair to get around your own home, work or school, or if you need a specialised wheelchair due to a disability. If you need a wheelchair only to get around in the community, to do things you enjoy, it is likely you won't qualify for funding and will need to either buy or hire one yourself. This guide is intended to help people looking to buy or hire a wheelchair for occasional use (daily or otherwise). If a wheelchair is needed for more than a few hours on any day it is highly recommended you arrange an assessment with a therapist through your GP. 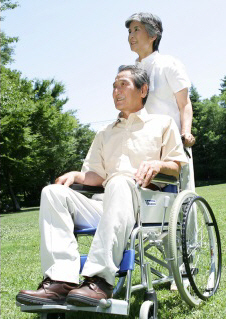 Wheelchairs have different types of wheels for different environments. You need to consider where you will mostly use it and discuss this with the person you are purchasing from. For example small hard wheels (castors) at the front are great on a smooth surface but useless on gravel. Hard wheels don't get punctures but can cause you to feel every little bump. Air-filled wheels are more comfortable but can get punctures which will need repairing. Back wheels can be big (called ‘self-propelling') or small (called ‘transit' wheels). Big wheels make the chair easier to push and to control but are heavier when lifting the wheelchair. If you have decided to get a wheelchair you may want to consider whether a power (electric) wheelchair could suit you. They are more expensive and heavier if they need to be lifted into a car. However they give more freedom to the user as another person is not needed to push them. Safety is an issue, so test drive to make sure you can comfortably control the wheelchair before you buy. If you will ever need to take your wheelchair out in the car make sure the person who will be lifting it has a practise before you buy. You need to check that they can manage the weight and that it fits your particular car. Many wheelchairs have wheels that can pop off and armrests that lift out to make the job easier. Some power chairs have batteries that lift off to allow the chair to be folded. Your wheelchair should be just wide enough that you can still fit if you wear a jacket but you should not be able to slip your fist down either side. A wheelchair that is too wide will not offer enough support and will often cause the user to lean to one side. When you sit in your wheelchair with your bottom right back, your thighs should be well supported and the seat should come to about 1 inch behind your knee. Any closer and your legs will rub against the edge, causing you to slump down. If the seat is too short for your thighs you will not be comfortable for long and your posture will suffer. When you sit with your feet on the footrests they should be able to sit flat and well supported rather than dangling. You also need to check they are not too high, which you can do by looking at your knees. If your knees are higher than your hips the footrests are too high – they can usually be easily adjusted by the person in the shop or a wheelchair therapist. Make sure the footrests can be taken off altogether if you need to put the wheelchair in a car. You should feel comfortably supported by your back rest. Take a moment to lean back into it and check the support goes all the way up your spine. It should not be so high that it interferes with you moving your arms or head. You should be able to comfortably rest your elbows without leaning forward (armrest too low) or hunching your shoulders (armrest too high). The armrests should be adjustable, so get the sales assistant in the shop or a wheelchair therapist to adjust them if necessary. It is a good idea to consider having a seat belt in your wheelchair for extra security. It should sit low on your hips and not push into your stomach. You should be able to undo the seatbelt yourself without relying on anybody else. Most wheelchairs only have basic upholstery to sit on, so it is worth considering buying a fitted cushion to give you comfort. The cheapest cushions are made of foam (which may become flat and unsupportive within a couple of years or so, and need replacing). It is worth buying a spare washable cover and you may find a waterproof cover helpful as well. As a guide your wheelchair cushion should be as comfortable as your couch or armchair cushion. It is possible to get air- or gel-filled cushions, but if you don't need these at home then you shouldn't need them in your chair, unless you are going to be sitting in it for long periods. If this is the case, you should have a proper assessment as outlined above. A wheelchair can be a life-changing purchase but it is common to see people out and about in a wheelchair that just does not fit them properly or suit their needs. It usually only takes one or two sessions with a wheelchair therapist to be properly measured and fitted in a wheelchair.